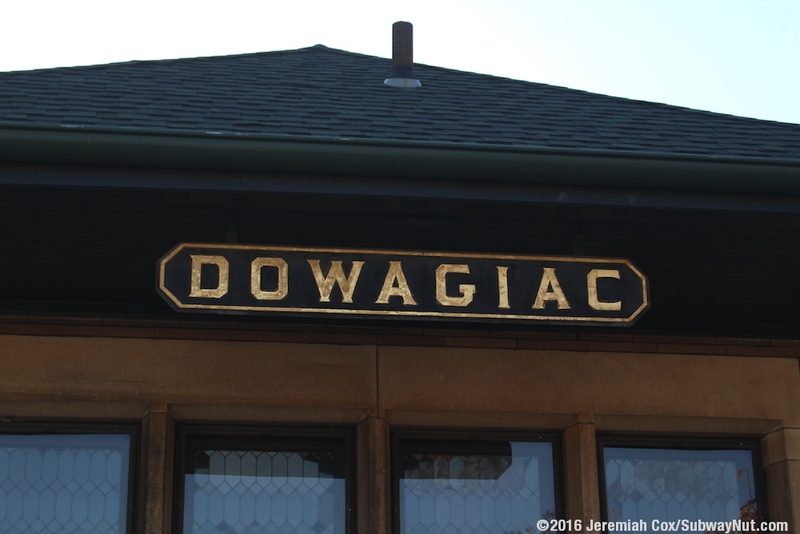 Dowagiac is small city with a population of only 5,879 along the Amtrak-owned high- speed corridor (where train speeds can reach 110 miles per hour) in Southwest Michigan. 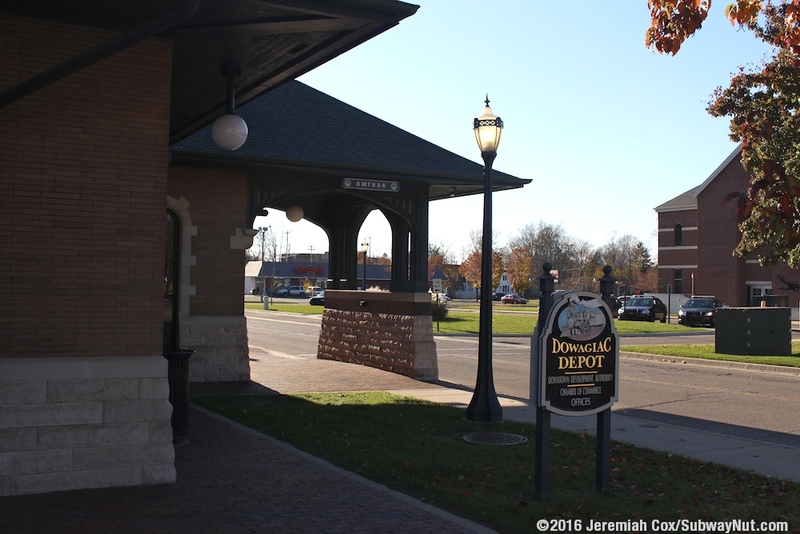 It is only 13 miles northwest of Niles (a 10 minute ride) so only half of the 4 trains per day make this small-town stop. Serving the station are the Blue Water and one of three daily Wolverine trains (specifically the morning train to Detroit and the evening return train to Chicago). 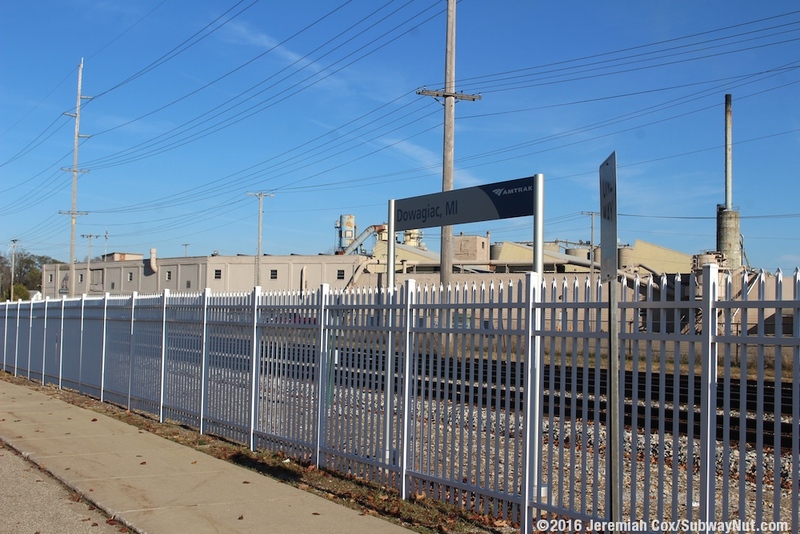 The station has the lowest ridership after Albion (a flag stop) on the Wolverine and Blue Water routes. 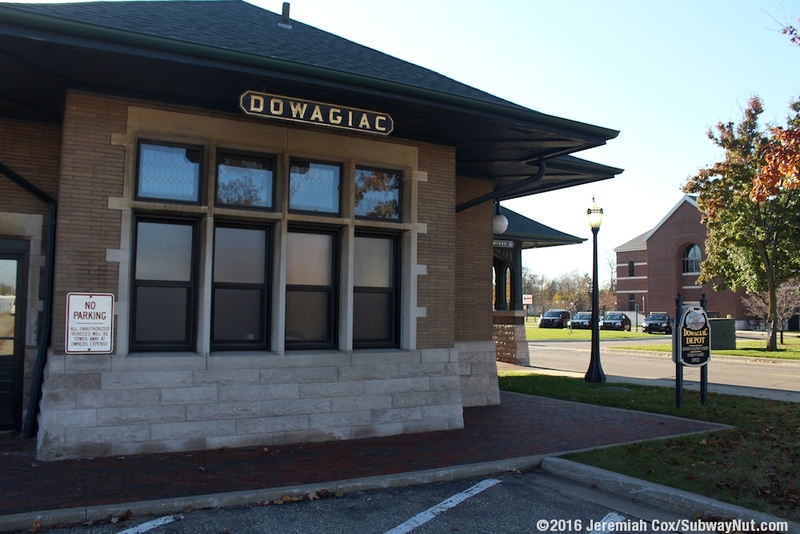 Trains stop at the historic brick Tudor Revival, 1903 train station, now owned by the City of Dowagiac. 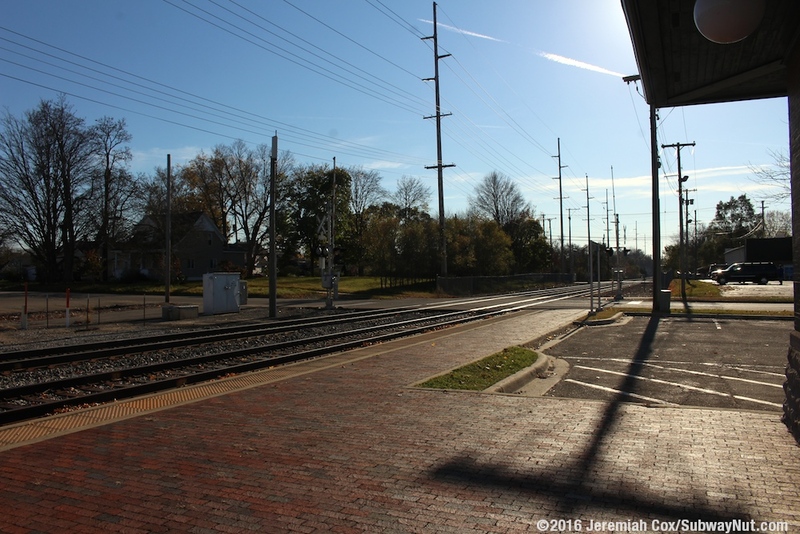 This station is just a block east of historic Main Street. 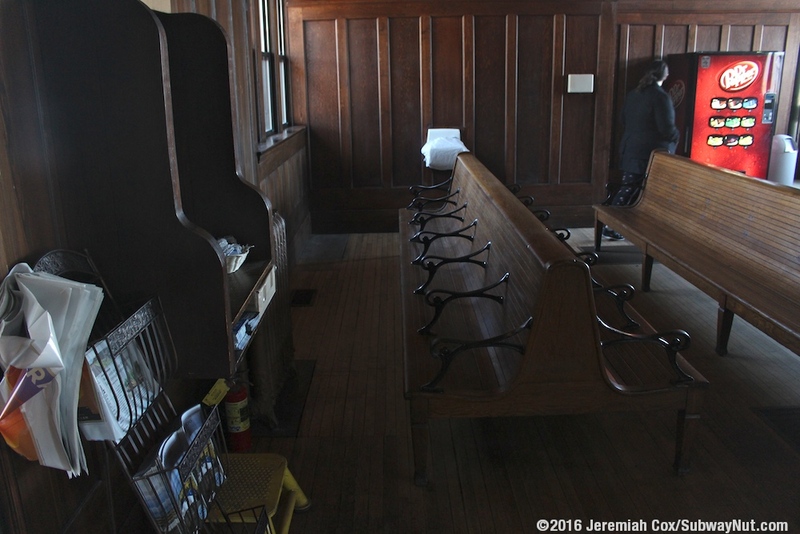 The building was restored in 1995 with a new (but looking historically accurate) wood paneled wall dividing the formerly larger waiting room into two. 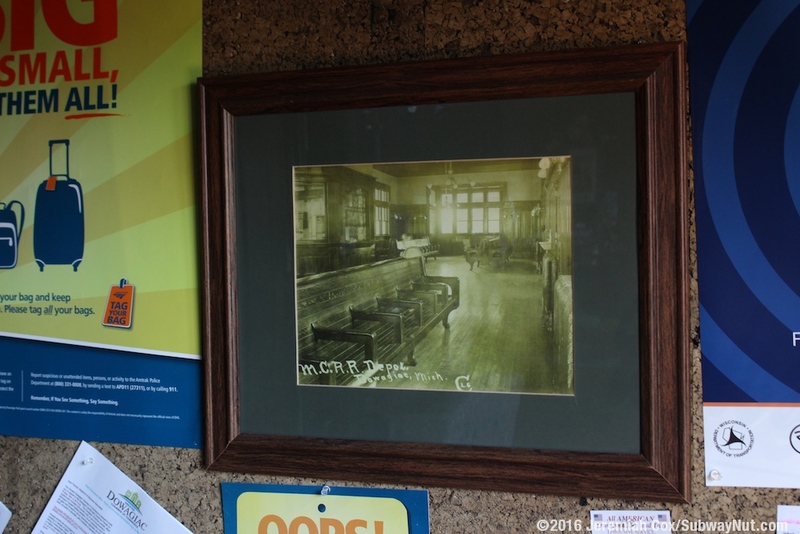 Half of the waiting room is now used by the Greater Dowagiac Chamber of Commerce and their Whistestop Gifts gift shop. 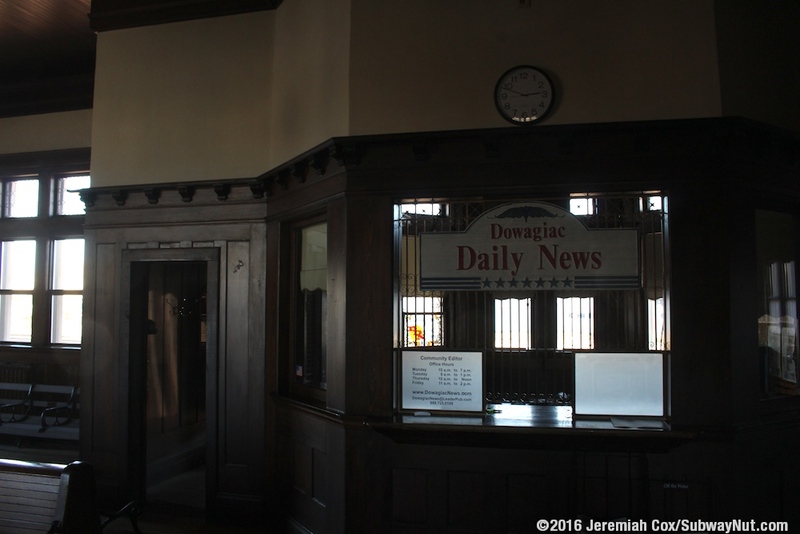 The other half is still the passenger waiting room, with the old ticket office now used as the office of the editor of the Dowagiac Daily News. 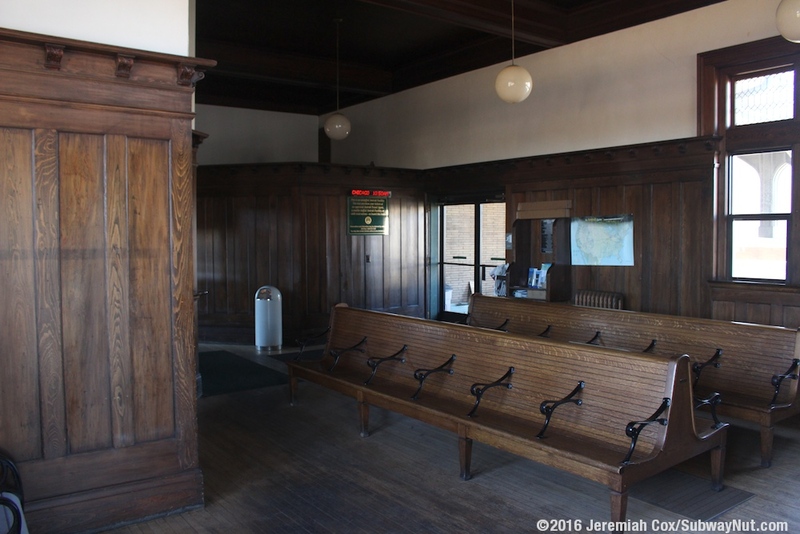 Historic wooden benches are available for waiting passengers. 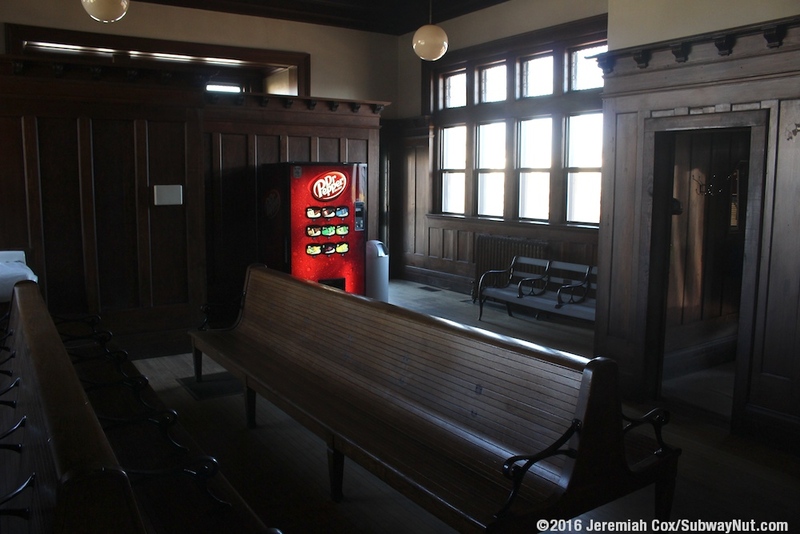 Restrooms were added in the 1995 renovation and are modern and ADA complaint. 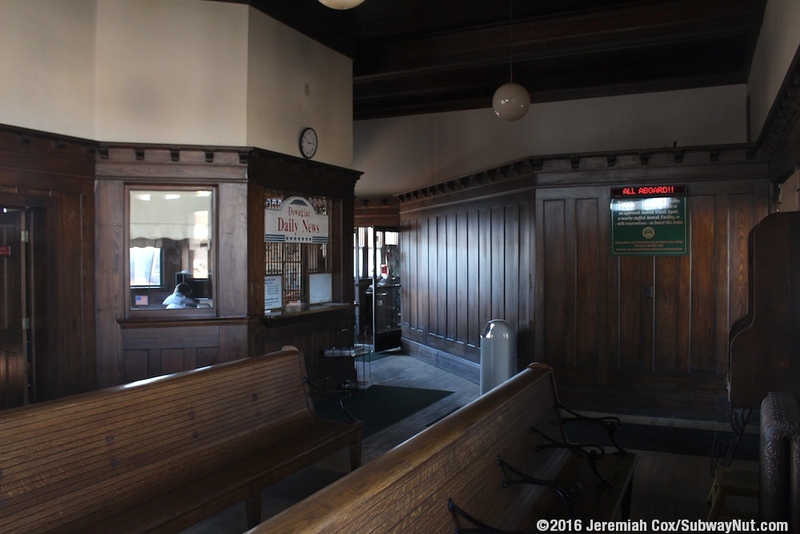 The station is unstaffed, no Quik-Trak Machine has been put in the station. 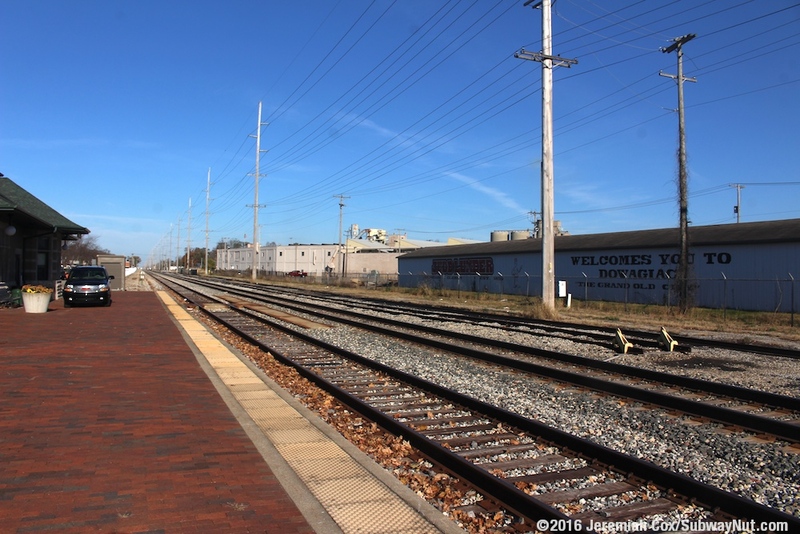 The station is nestled between Depot Drive, where a covered entrance that is now just over a modern sidewalk was once probably a place for buggies to pull up away from the weather, and the tracks. 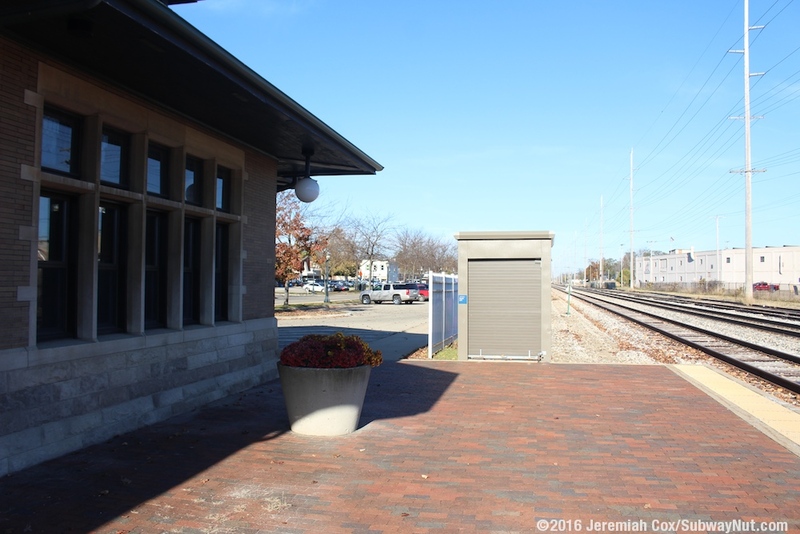 An attached porch that leads to secondary now boarded up shed like building (perhaps once for freight) is all the cover for waiting passengers. 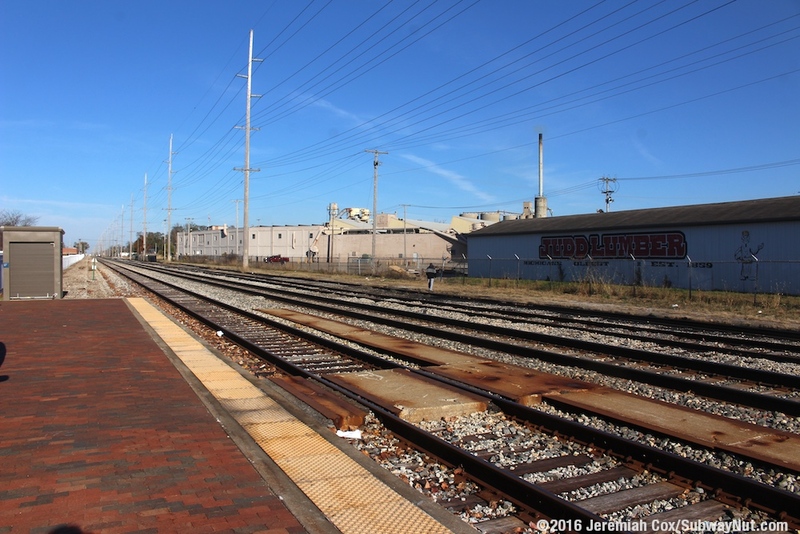 The line here has two through tracks, plus a third freight siding that starts mid-way along the platform. 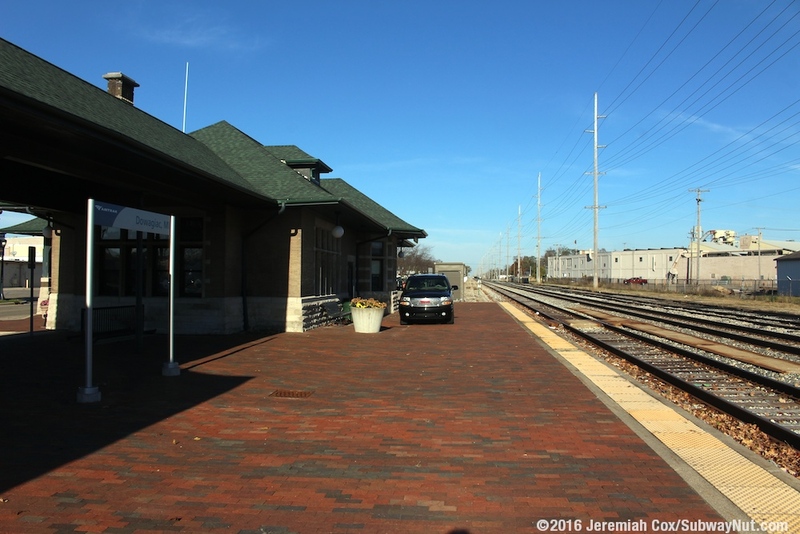 Trains stop at an extremely low-level brick platform that can accommodate 3 cars. 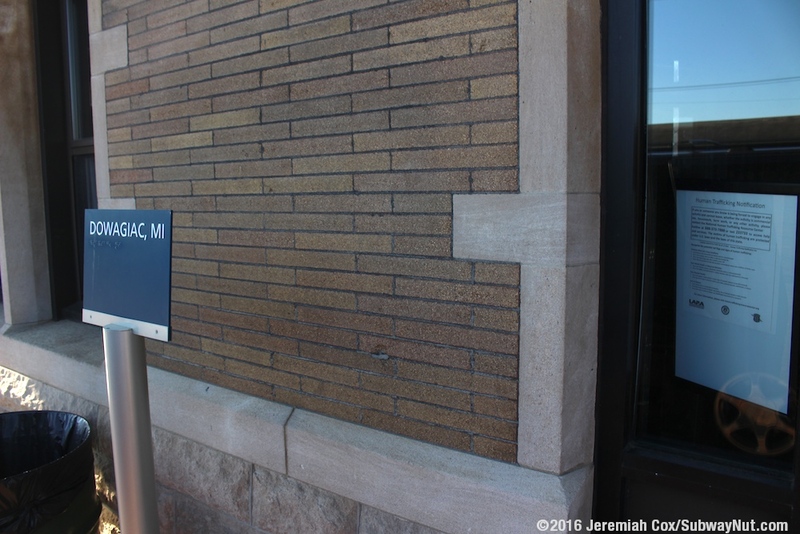 The platform is made of bricks with a fading tactile warning strip. The second through track has a small level crossing out to a tiny boarding area for one vestibule to stop and open its doors. 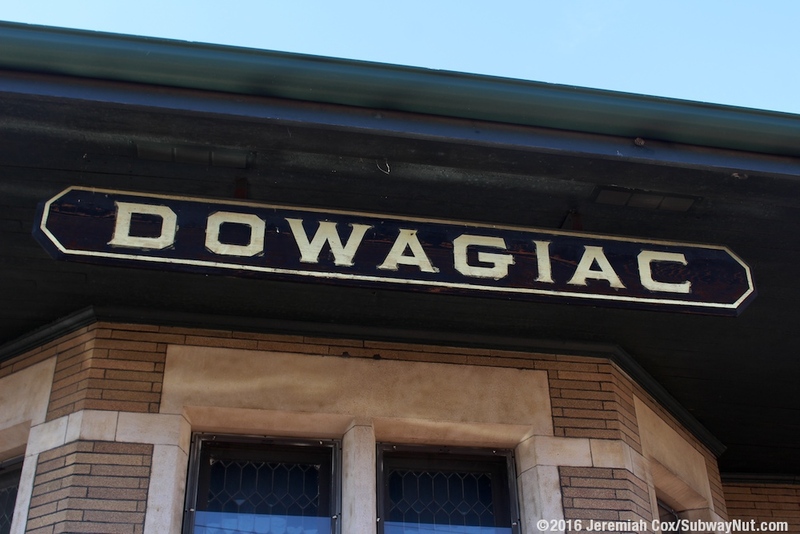 Signage consists of three (one is beyond the platform north of the station) modern Amtrak Recovery Act-era ADA signs and a few small historical-looking Dowagiac signs. 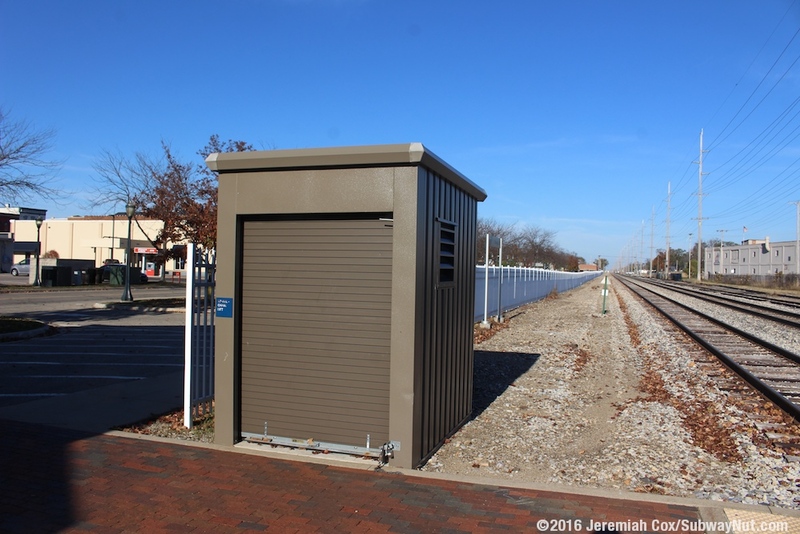 There is also modern brown wheelchair lift enclosure at the northern end of the platform. 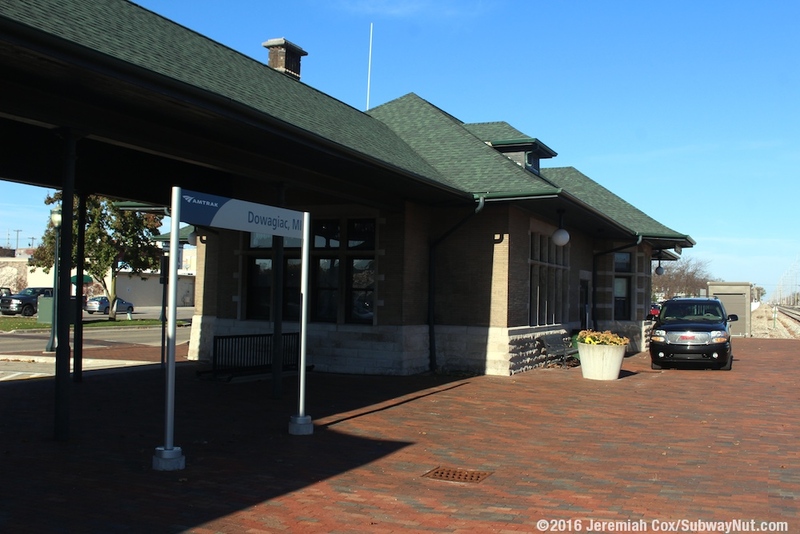 A small pointless arrow sign on a lamppost is near the parking lot entrance and says Historic Dowagiac Depot, overnight Parking Amtrak Passengers, This lot. 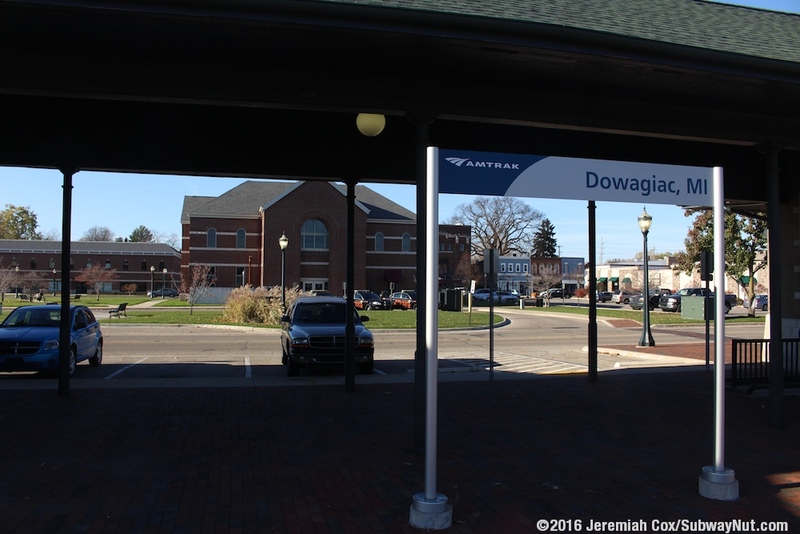 The station is across from the Dowagiac Police Station so car safety shouldn't be an issue. This Website is maintained and copyright © 2003-2019, Jeremiah Cox. Please do not remote link images or copy them from this website without permission.